Paradisi Paradisi is a traditional village on the northwest coast of Rhodes where you will find many restaurants, byzantine churches and friendly people. The bus service from and to Rhodes city is excellent. Embonas may not have any picturesque architectural features. 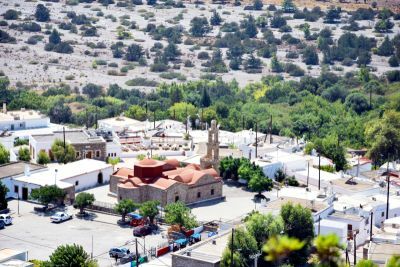 However, it is one of the most popular suggestions for a trip inland in Rhodes that combines folklore, a lively atmosphere and good food. 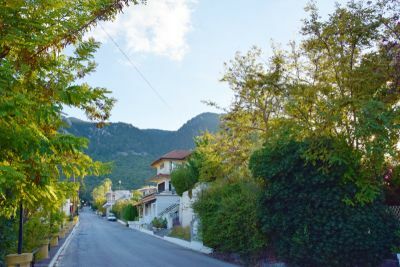 Embonas is a village full of life all year round with several tavernas serving people who come here from all over the island to taste the delicious local meat. It is the most important grape-producing village on Rhodes, and produces some of the best wines on the island. As mentioned, Embonas village offers an abundance of folklore. Try wandering around the small streets, check the colourful hand-oven rugs and visit the Folk Museum and Art Museum. Finally, make your way to the local tavernas. If you decide to eat at here (which we cannot recommend enough - the food here is absolutely delicious! ), try one the local "chima" (not bottled) sweet wines offered. If you come around harvest time, you will find the streets being full of baskets and the courtyards being spread with raisins soaking up the sun. If you happen to visit in high season, you are also quite likely to come across a dance group dressed up in traditional clothes. The village square is the main hub of life with beautiful little shops selling the handicrafts made by the locals. Apart from wine, Embonas also produces excellent olive oil and honey. If you visit Emery, the largest winery in the village of Embonas, join one of the guided tours and engage in some great wine-tasting. 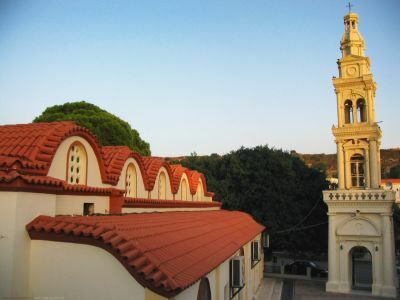 There are also three more traditional wineries which are run by small local producers, namely Kounakis, Alexandris and Merkouris, where you can sample the local varieties as well as "súma" (a local strong spirit). 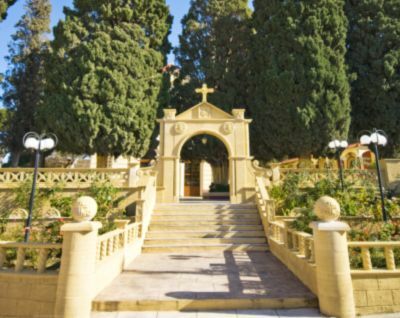 Very close to Embonas you can visit the Natural Cypress-tree forest, a Natural Monument, as the forest extents more than 1,35 km², while 7 km south from the village you will discover the Monastery of Artamitis, with a nice icon screen. We visit Rhodes every year and always include a visit to Embona. We hiked up the mountain one year and never did make it to the top, (we ran out of time) also we bought a handmade authentic Embona costume for our grandaughter. We always eat dinner or lunch and the food is excellent. It's a great village. Our goal is to see the ancient village at the top of the mountain. Ok this place has great wine and the local meat is delicious.